Ignore the media hype. 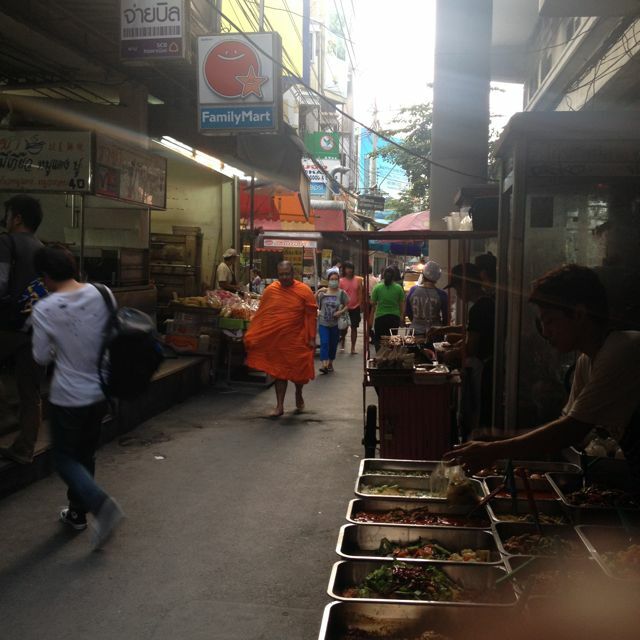 Bangkok is not that bad. Jammie and I landed a few days ago and our suspicions were confirmed: not much was different from when we left in December. 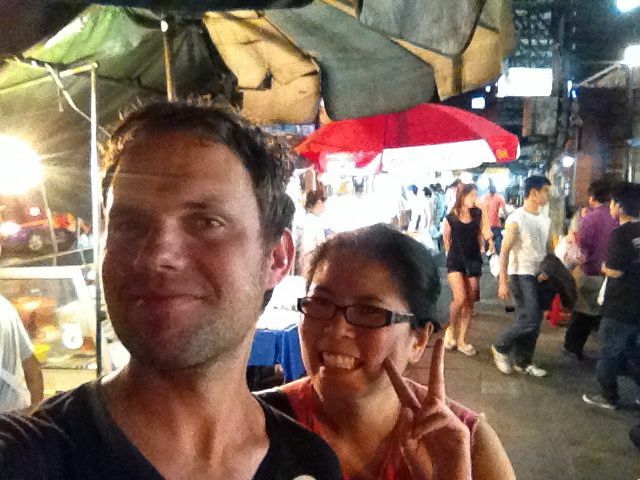 As mentioned in my last post, we had postponed our plans to move back to Thailand because of the media hype about the violence and political protesting aimed at overthrowing the current government. From news reports it was sounding awful – explosions, deaths, shootings, fearful uncertainty. The reality, we are quickly noticing, is far less dramatic. Some of the biggest changes I’ve noticed so far have been the renovations to my favorite super market, the completion of the pedestrian bridge over the insanely busy intersection next to the high-rise we live in and some major excitement about the fact that Justin Timberlake is coming to town. So much for revolution. I’m not denying that some horrible things have happened – even this week there was a lethal clash as police were clearing protest sites. And yes, there have been several other deaths and many injured. As I have said a number of times on CultureMutt, Bangkok is no stranger to political trouble. Here’s the thing though: the vast majority of Bangkok is continuing on as usual – the bursts of violence have happened at protest sites. If you employ some basic common sense and avoid these places (just like you would avoid any bad area of town at home), you are safe. Day-to-day life for most people, including Jammie and I, is basically the same as always. The picture the media paints of chaotic unrest simply is not an accurate reflection of reality for Bangkok in general. For me, this confirms a personal belief that has been gaining strength over the 15 months or so since I quit my stateside job to pursue my dream of international travel and work: risks are less scary once you take them. This is perfectly illustrated by our situation in Bangkok: as much as the media depends on hyping the unrest here to fatten their profit margins, when we actually took the risk and flew over, we were greeted with the same smiles, politeness, incredible food and sunny weather as always. So often we sit on our dreams and goals and do nothing because of nebulous, ill-defined and often unfounded fear. My biggest lessons learned in 2014 so far is that this tendency is a huge pity. Don’t give in to it. I think I’ll trust the State Department warnings. Thanks though! I had a great conversation with a pharmacist on CDC recommended vaccines before traveling to the Carribbean just recently. The odds of contracting a disease on the list is actually pretty low for a lot of locales. And, to illustrate, he listed a bunch of scary diseases I’d be warned about if I was a citizen of a different country traveling to New Mexico (where I now live) – none of which I’m vaccinated against. I wish I remember the list – hantavirus was one of them – but the point is they are all pretty rare. Yeah, good point about the media milking any bad news for all it is worth. Glad you guys arrived safely! I was recommended this website by means of this uncle. I’m don’t certain if it article is actually provided by method of your pet since who else understand like specified in relation to my own dilemma. You’re amazing! Appreciate it!